Today, when you order "Super Real Latex Lemon", you'll instantly be emailed a Penguin Magic gift certificate. You can spend it on anything you like at Penguin, just like cash. Just complete your order as normal, and within seconds you'll get an email with your gift certificate. Order in the next 3 hours 15 minutes and it will ship TODAY! This is the best production Lemon on the Market! It absolutely looks like the real thing, even close up. It compresses into very small spaces and can be made totally flat. However it will always hold its shape. 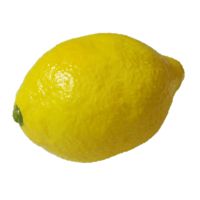 There are other production Lemons on the market but the others do not Look, compress and spring into perfect condition as these do. Simply the BEST! Perfect for Final loads on cups & Balls! It really looks good except for the fact that it has a penny sized hole on it's side. I didn't know this and had planned to roll it on a table as reveal. Now can't. Mad. I bought this for a routine where I needed a realistic lemon, if the lemon looks fake the routine is dead...well this looks fake. For some reason there is a visible seam around the belly of the lemon so the only way to hide the seam is to point the end of the lemon towards the audience. 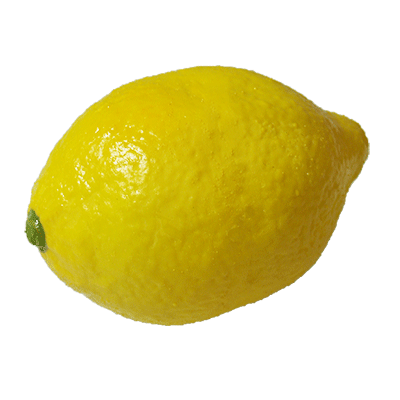 If the seam went long-ways you could still show the side of the lemon without the seam being seen. The workmanship on the seam is very dodgy, it has not joined evenly and there is a visible ridge. It looks obvious even from a 'stage' distance. I'm really disappointed in this prop, it was a waste of money and is no use to me at all. layed it on the counter and stepped back and just a few feet away and it looked real. Glad I got one.